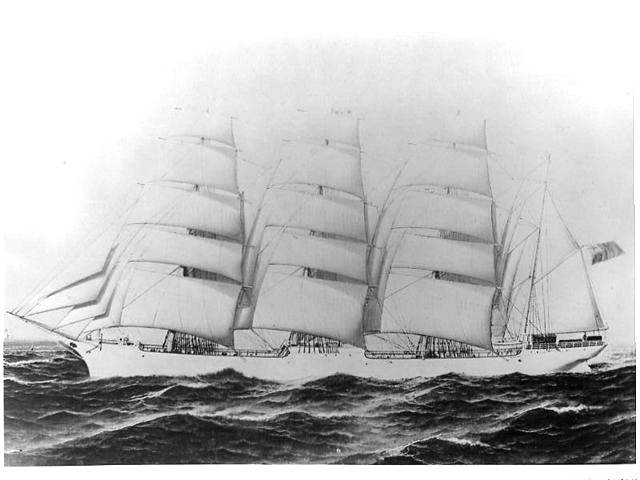 The photographs all come from a series taken by Dr. Charles A. Webster of Yarmouth, NS, passenger aboard the four-masted steel barque Iranian, commanded by his uncle Capt. Isaac Webster, while carrying a cargo of case oil from Bayonne, New Jersey to Yokohama, Japan in 1896/97. This 147 day voyage took place towards the end of the 'days of sail' and so, towards the end of the days of 'shantying' at sea. The Webster collection of photographs features the crew involved in a variety of shipboard tasks including working the capstan and at the halliards - work which might have been carried out to the shanties in our collections. Indeed, in his diary, Dr. Webster mentions, "There are thirty-five men aboard.... They seem to be a good crew, one of the singing kind and sing "Whiskey for me Johnnies", "Renzo", etc. in great style." 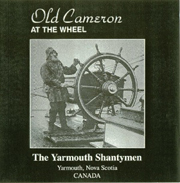 These photographs are used courtesy of the Yarmouth County Museum Archives (link opens in new window), Yarmouth, NS, Canada, with grateful appreciation to the Webster family. left: Iranian, built in 1895 by R. Williamson & Son, Workington. Dimensions: 308'3"x46'2"x25'8" [93,94x14,07x7,82 meters] and tonnage: 2958 GRT and 2797 NRT. Portrait by Antonio Jacobsen (1850-1921), New York. 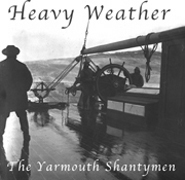 To order CDs please contact us by email at yarmouth.shantymen@gmail.com. Include details of your order (titles, quantities) and full shipping address. Sorry, at this time we do not offer purchase by download. Shipping rates will be quoted to you by return email. We accept payment through PayPal at the above email address. 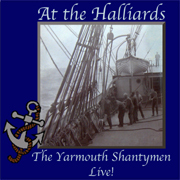 At the Halliards - Live!